No one’s going to have a more epic December than Jason Momoa. For our new 2018 Gear of the Year Issue—on stands everywhere this week—we threw tomahawks, climbed rock walls, and hung out with the adventurous action hero and Aquaman star before his new film hits theaters December 21. “It’s probably the character I’ve played that’s most like me,” he told writer Marissa Stephenson. For our Gear of the Year, we spent 365 days testing every new product we could get our hands on. From Ducati’s 158-horsepower Multistrada 1260 S street bike to Suunto’s new 9 Baro smartwatch, 2018’s list is our best one yet with 55 exciting tools, gadgets, toys, and more. Still need your gear fix? Check out our 2018 Holiday Gift Guide. We picked gift ideas for every budget out there for your adventurous friends, foodies, athletes, tech lovers, and for the stylish guy in your life. Our latest issue even has something for Wilco devotees: Senior editor J.R. Sullivan spent a few days in Jeff Tweedy’s Chicago studio ahead of the music icon’s memoir Let’s Go (So We Can Get Back), which hits stores this month, along with his upcoming solo record. “I’m trying to be open and honest about the things that I think we would all be better off if everybody was open and honest about,” he told us. We’re ending the year with weights and headphones in the Blueprint thanks to four curated playlists that sync up perfectly with our Workout of the Month. Each song clocks in around 120 BPM—just what your body needs for those seated single-arm presses or dumbbell curls. (Don’t sweat it, you can still keep “Baby Got Back” in your Spotify queue.) Two circuits and five moves each work your chest, abs, back, and shoulders for a plan that’ll help jumpstart those New Year’s goals. 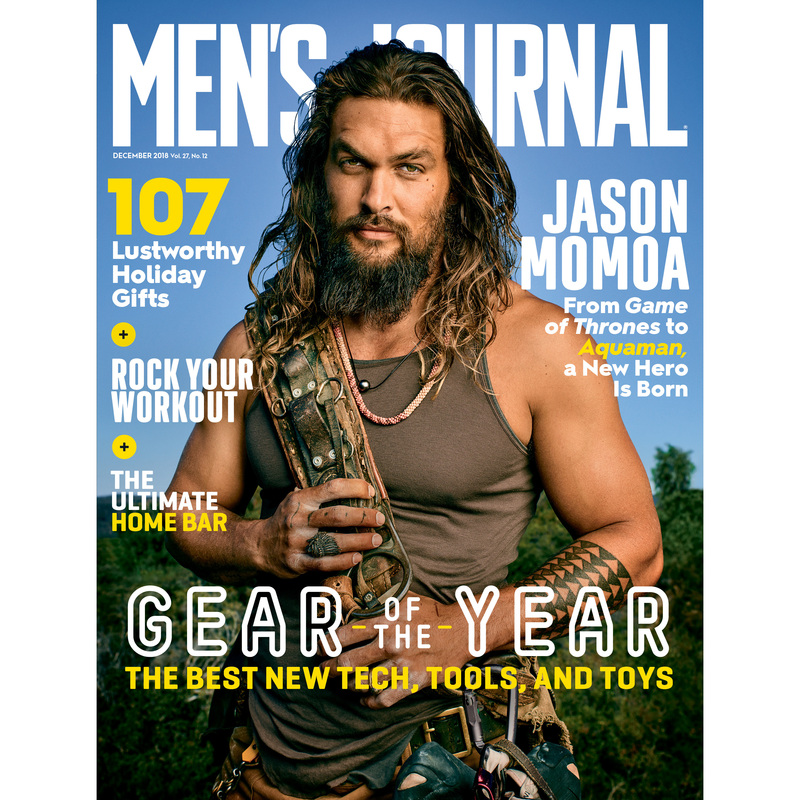 Read it all and more in our December issue featuring Jason Momoa—on newsstands tomorrow.